Read reviews about Honda minivans! If you own a Honda, it's a good idea to stay informed about Honda recall notices. Learn about recent Honda recalls and find out how you can keep up-to-date about recall news. Founded in Japan in 1948, Honda originally produced motorcycles. The company began marketing motorcycles in the United States in the early 1960s, and by 1964, it was the world's leading motorcycle manufacturer. In 1972, Honda began producing and marketing the Civic, which is its longest running model. During the decades that followed, Honda produced additional models, and by 2008, Honda was the fourth largest manufacturer of automobiles for sale in the United States. Over the years, many of these models have seen automotive recalls for major or minor safety issues. All automakers issue recalls at one time or another, and Honda is no exception. What Happens in an Automotive Recall? When it comes to automotive safety, recalls can actually be a good thing. They mean that a defect has been discovered, and an automaker is taking steps to remedy the problem and ensure driver safety. An automaker can voluntarily issue a recall based on customer complaints or safety data. Most recalls occur this way. The National Highway Traffic Safety Administration (NHTSA), the government organization responsible for automotive safety, can order an automaker to recall vehicles or equipment. The automaker must then issue a notice to owners of the affected vehicles, and owners may then take their vehicles to the dealer for a free repair or replacement. It's also a good idea for owners to research recalls that might affect their automobiles, since some owners may not receive a notification letter. In late 2009 and early 2010, Toyota recalls affected nearly nine million vehicles. Honda issued several recalls during this period as well, but because of the larger recalls by Toyota, these events did not make as big an impact on news headlines. In January 2010, Honda recalled 646,000 Fit and Jazz compact cars for problems with a power window switch. The switch could become a fire hazard and could impact driver safety. In the United States, problems with the switch led to two vehicle fires. This recall affected Fit and Jazz cars made in 2007 and 2008. Between 2008 and 2010, a Honda airbag recall affected nearly one million vehicles worldwide. These vehicles had problems with the airbag inflators, which could result in the airbag inflating with too much force. Models affected included the Accord, Civic, Odyssey, and CR-V, most made in 2001 and 2002. 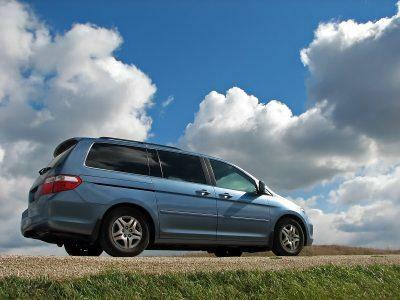 In March 2010, Honda recalled 410,000 Odyssey minivans and Element sport utility vehicles for problems with brakes. In affected vehicles, the brake pedal can become softer and require the driver to push down harder. This means it could take longer to stop the vehicle. This recall affected Odyssey and Element vehicles made in 2007 and 2008. While most owners can expect to receive official Honda recall notices about these and other recall events, it's always a good idea to stay informed about automotive recalls. It's easy to check whether your car or truck is included in the list of recalled vehicles. For the most current information about recalls affecting your car, look up your year, make, and model at the NHTSA Office of Defects Investigation website.